The OTOSAN cone is a natural method for practically looking after ear hygiene by yourself and without risk. This preventive hygienic practice gives a feeling of well-being and relief from the problem from the very first application. The OTOSAN cone for the ear care is the rediscovery of an ancient tradition for the treatment and prevention of the ear. Made of natural waxed cloth, it contributes to remove the wax-plug from the ear while re-balancing the ear pressure, and it prevents the unpleasant feeling of "blocked ears". It can safely be used at home by all those looking for a healthy life and for light and natural treatment methods. The Otosan Cone is 100% natural and contains propolis which acts as a natural antibiotic, reinforcing the body's defences and fighting viruses and bacteria. Used regularly it helps to prevent annoying ailments caused by a lack of hygiene, which if disregarded, may damage the ear's long term health. It is a mixture of substances produced by the ceruminous glands of the ear duct to defend it against foreign matters (dust, insects, etc.). 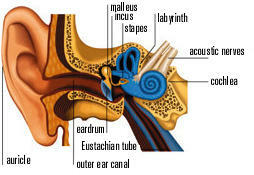 Nature, in fact, has foreseen that the epidermic layers of the ear move outwards from halfway along the eardrum membrane. During their motion, they mix with particular fats produced in the glands and so leave the ear in the form of earwax. When this "self-cleaning system" of the ear no longer works perfectly, a plug of earwax may form which, if not removed, can cause problems, irritation and even blocking of the ear duct. It can be the cause of reduced hearing, itchiness, whistling, buzzing, and also of momentary loss of balance. According to a survey carried out in more than three hundred doctor's surgeries, it emerged that many people try to eliminate the "wax-plugs" with excessive cleaning or using violent methods, cleaning the ear duct with rubber syringes, chemical-based sprays, manually or with cotton buds. These methods may be dangerous, as the wax may be pressed further into the ear duct, blocking it completely and risking damage to the extremely sensitive membrane of the eardrum. This could open the way to the middle ear for bacteria which can cause serious infections. The warm air, which rises, creates a depression and consequent suction ("chimney effect") at the base of the cone. This helps eliminate waste and deposits from the ear canal. It also liberates close pores, regenerates the breathing of the skin, and helps regain the correct tension of the eardrum following holidays in the mountains, flights, swimming and diving which can cause that "blocked ear" feeling. The OTOSAN cone, besides the PROTECTIVE DISC, has a FLAME-BREAKING RING, which automatically extinguishes the flame at the end of the treatment and makes it easier, safer and more practical to use. 1. Insert the cone into the protective disc and light the wide end of the cone itself. 2. Insert the tapered end of the cone into the ear holding it in a vertical position with your hand. 3. When the flame has burnt down to the flame-breaking ring, stop treatment and extinguish the cone in a glass of water. If you intend living your health and your psycho-physical equilibrium naturally, in harmony with environment and with nature, we advise you to use the OTOSAN cones at least once a month as preventive hygiene practice. Prices on this page should be valid however they are not updated daily so maybe subject to change..
eg. "re: Otosan Ear Candles"